Home PowerShell SharePoint Online Subsite SharePoint Online: How to Change Subsite URL using PowerShell? SharePoint Online: How to Change Subsite URL using PowerShell? 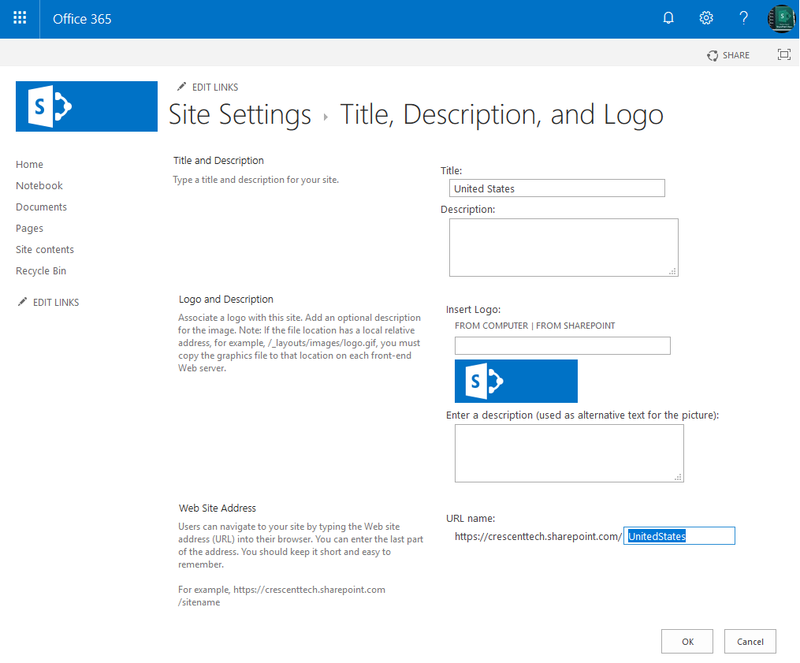 Requirement: Change the URL of a subsite in SharePoint Online. How to Change the Subsite URL in SharePoint Online? Click on Settings Gear Icon >> Choose "Site Information" and then "View All Site Settings"
Enter the new URL for the subsite and click on "OK"
This renames subsite URL in SharePoint Online. Here is the PowerShell to change the URL of a SharePoint Online Subsite.